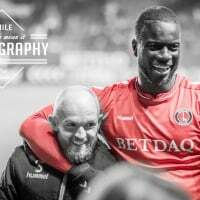 With 8 league games (and potential play offs) to go it feels a good time to provide an update on the potential winner of the 2018/19 Charlton Life Statbank. To recap, the Charlton Life Statbank is a collection of player marks provided by our forum members after every game. A player has to feature for a minimum of 30 mins to be marked in a game, and be marked (apps) 25 times in a season to be in with a chance of winning Player of the Year. It has been running for 10 years. Jonny’s average is vs a team average of 6.72 for those 9 games. Anyone got any thoughts on that lot? The average marks of those nine are all within the margin of error of our marking system to be considered the same, I’d suggest, so we should award the title to all of them. AFKA, there's only been 3 meaningful comments in nearly 4 hours. Why don't you add their religions, which political party they vote for and whether they are pro or anti Brexit ? That's a lot of stats. Sorry, just my attempt at a bit of humour. My thoughts on the matter are it's very close and I'd have to wait until the end of the season to decide. Those scores from previous seasons show just how good Solly was before his knee problems. Top ranked in our title season (ahead of Yann, JJ, BWP etc) then retaining it in the Championship, with neither of his scores surpassed by anyone else. Solly just edged out Yann in 11/12 by 0.04, who had a high 7.35 average. The biggest winning margin, which I think is a better indicator of outperformance than marks, was Diarra in 15/16. He won it by a huge 0.68 margin. Cullen has been excellent, as has Bielik, and Sarr has been an absolute revelation in recent weeks. Plus obviously Lyle has been so crucial to our success. Aribo has been absolutely unplayable at times, though less consistent than the others. Couldn't really fault any of the top five winning it really. I think Nabs edges it for me. Think he's done things above and beyond this division in recent weeks. But I think there's a very good case for Cullen and Bielik. Very, very fine margins though, particularly in that top 3. But a strong run-in could see any of them take it for me. Aw now you've just gone and made me start missing him all over again. Don't think he'd get in our team mind. But still, a lovely player. I'd also say that POTY is wide open. Cullen needs to make a few more telling passes before he emerges clear. He's good at ballwinning and brings both energy and competence in possession, but I want to see him really excel at the harder stuff, namely playmaking. In fact, Sarr's potential for winning this is as much about his freakish playmaking skill as his defending. Taylor with 14 goals and 12 assists has to be in with a very good shout. Cullen with 8 assists BUT no goals, and that is the issue with all our midfielders. Just not enough goals. Aribo with 4 has the best record, but I think that is poor considering we are in the top 6 and have so much possession and chances. I am ruling all of them out unless they do better going forward. So for me it is currently Taylor, Sarr and Beilck (who I consider to be a defender), and in that order. Whilst there's no denying his entry, Cullen does make enough successful and telling forward passes. Actually, forget the 'telling' part, he just doesn't make enough successful forward passed. It is there to be won. The same as promotion. Taylor for me, he is the one who has given me most hope this season that we can go up, plus he can be a catalyst for the entire team. Agree about Cullen. Same could be said of Bielik, though to be fair Bielik is most naturally a central defender. But we haven't seen the kind of defense splitting passes that Cullen promised early on. That said, at our level, when teams sit deep, it can be hard to do that, especially with the lack of space in behind. And that's where the clever 1-2s and working in tight spaces is so crucial. Williams does it quite well when he's on form. Cullen obviously isn't quite the same type of player, and is still quite young, but could do well to learn that. ^I'm being overly critical of Cullen here as trying to take it from the perspective of POTY. He's largely been excellent. Also agree about Sarr's playmaking skills and general technical ability potentially being what puts him over the edge. At the moment I'd give it to Sarr based on the best tackle I've seen for years, in any league, and his all round game..